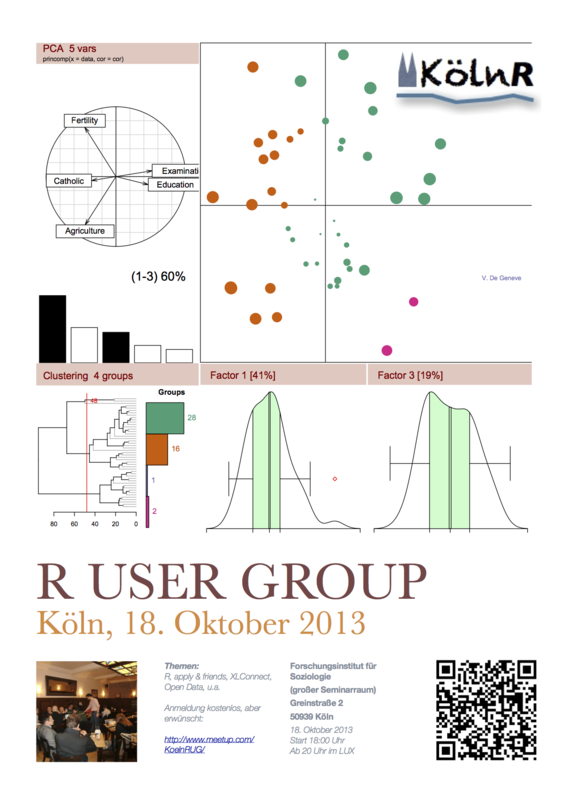 Quick reminder: The next Cologne R user group meeting is scheduled for this Friday, 18 October 2013. We will discuss and hear about the apply family of functions and the XLConnect package. Further details and the agenda are available on our KölnRUG Meetup site. Please sign up if you would like to come along. Notes from past meetings are available here. Thanks to Revolution Analytics, who sponsors the Cologne R user group as part of their vector programme.